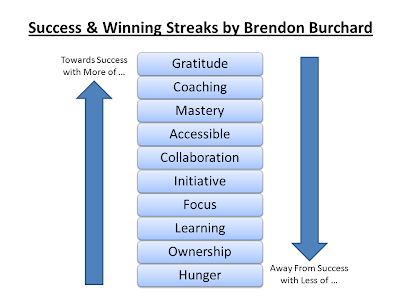 Today, I would like to share with you the Success & Winning Streaks by Brendon Burchard. 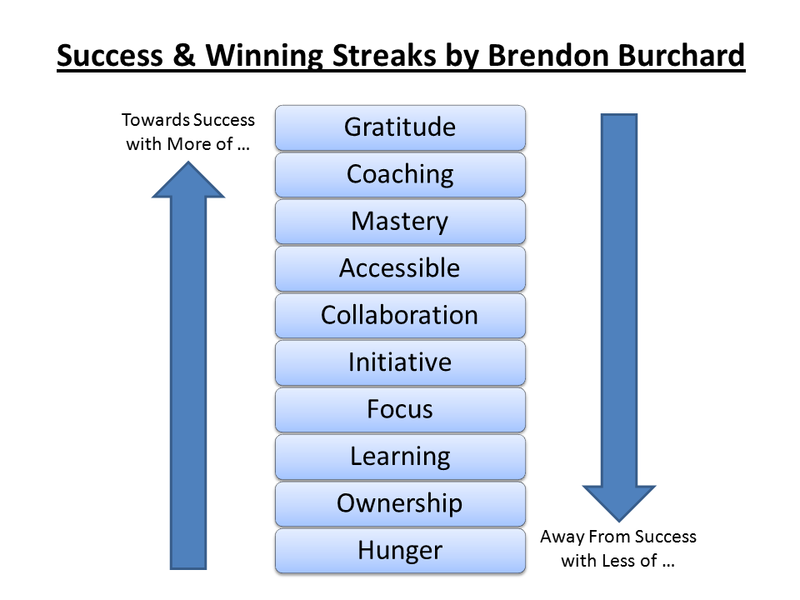 He showed us the steps towards Success & Winning starting from more "Hunger" and the downwards spiral away from Success& Winning with of less the attribute as indicated in the box. You may have some of these attributes already but this structure gives us a clear path to success and it also serves as a reminder for us on this on-going path to success and winning.